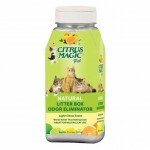 Tagged as 650ml (22oz), citrus II, foot spa cleaner, Magical Saving Multipacks, salon cleaner, spa cleaner. 100% Natural Foot Spa Cleaning Gel Salon & Spa Spray Cleaning Gel’s unique formula begins cleaning on contact and clings to surfaces to focus its cleaning power on stubborn spots and stains yet it is easy to wipe off with no residue to cloud surfaces. 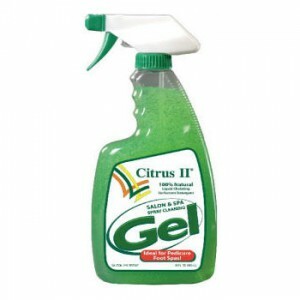 Versatile formula can be used to clean soiled areas on foot spas, walls, trim light switches, doors, microwaves, refrigerators, laundry equipment ,sink bowls and neck rings, chairs, counters, basins and much more The gel formula will not drip or run so its perfect for all vertical surfaces. 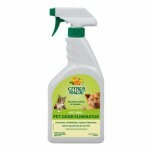 Unlike other cleaners the it has a fresh clean after fragrance that is pleasing to the nose. Ideal for Pedicure Foot Spas. 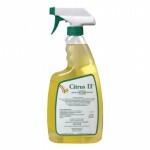 Citrus II Salon and Spa Spray cleaning Gel, a liquid chelating surfactant detergent, complies directly with all rules governing cleaning of salon and pedicure equipment in the USA. As a first step in complete proper sanitation, this unique formula breaks down the residue left behind from commonly used pedicure creams, oil and soaps while cleaning the foot spa surfaces.